Most products need some type of packaging to house and advertise what is inside. Mops, brushes and brooms are no different. 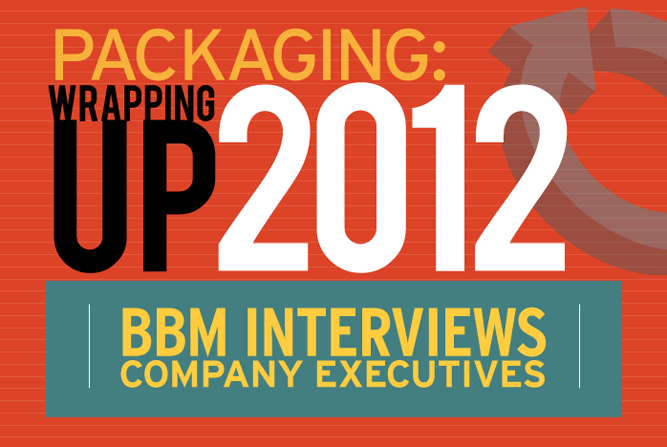 Two longtime packaging executives were recently interviewed by Broom, Brush & Mop Magazine to better gain insight into the packaging industry and find out how business fared in 2012. Demand for the various types of packaging items produced by Vonco Products, Inc., remained strong for much of 2012, according to Vonco Vice President of Sales Les Laske. He is optimistic that business prospects for 2013 will remain positive as well. Vonco Products remains a family-owned business, located in Lake Villa, IL, a northern suburb of Chicago. It was founded in 1955 by Laske’s grandfather, Walter VonStoeser. 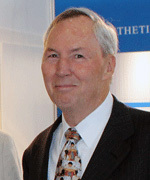 Laske’s father, Larry Laske, who is the president of Vonco, joined VonStoeser in 1959. In 1977, Larry Laske introduced the company’s fast load, self-locking custom poly broom sleeves into the marketplace. Today, Vonco Products remains a leading manufacturer of thermoplastic custom packaging, specialty and promotional products for the global marketplace. The company offers custom packaging for a wide range of segments, including the broom, brush and mop industry; medical and industrial fields; and retail packaging. For the retail market, Vonco offers self-locking broom sleeves, mop bags, handle bags, printed packaging materials, Christmas stockings and hand puppets. For the medical field, the company produces such products as drainage and specimen bags, bottle holders, disposable gloves and boots, and instrument covers. Its industrial products include liquid dispensers; volume indicators; and round bottom, multi-compartment, filter and boiling bags. One of Vonco’s products, best known by the general public, is its ThunderStix® noisemakers. The colorful noisemakers have become a favorite of fans at sporting events around the globe, including at Major League Baseball (MLB) and National Hockey League (NHL) games. Another important aspect to the success of Vonco Products has been its ability to satisfy complicated printing jobs. 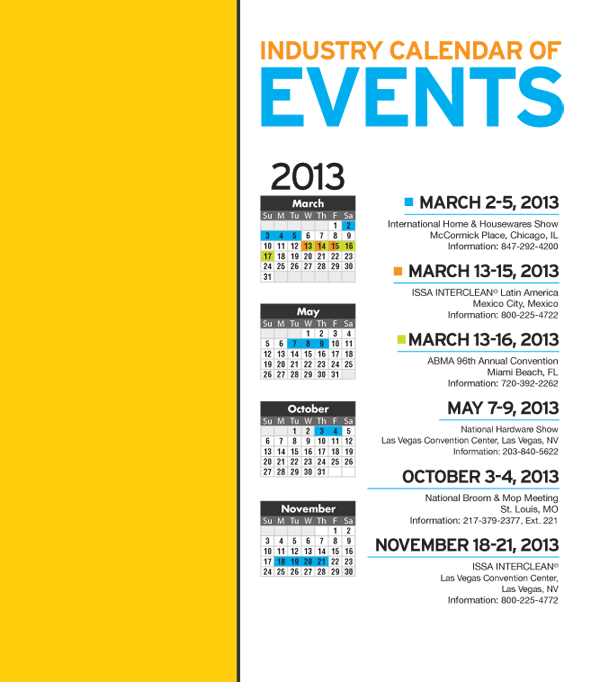 Vonco offers sophisticated six- and eight-color printing capabilities. Furthermore, Vonco’s printing operation is supported by its art department, which works with customers to ensure the finished product is of the highest quality, as process printing continues to gain in popularity. Process printing results in artwork that looks like a photograph, as opposed to traditional line art. Looking toward the remainder of 2013 and beyond, Laske said his company will continue to work at providing the best value available. This includes product quality, service and price. “There have been clients, during the past few years, who have tried competing products from overseas and have returned to Vonco. These clients returned because we have been able to provide better value for the entire package,” Laske said. “We continually strive to become more efficient and are proud to be an American manufacturer. 201 Park Ave., Lake Villa, IL 60046. Working with customers to satisfy their varied packaging needs continues to be the main focus at Creative Poly, Inc., headquartered in the northern Illinois city of Rochelle. “It’s important that we remain very informative about our production and delivery capabilities. Our customers know they are going to get their products from us correct — the first time,” Creative Poly President Walt Dudziak said. Founded in 1992, Creative Poly remains a family business with production facilities in both Rochelle, located approximately 75 miles west of Chicago, and Mexico. “We have the plant (in Illinois) for quick turns, and we have a plant in Mexico for the larger runs to help with cost savings. Our Mexican plant, which has been in operation for over 10 years, helps us better compete with China and bigger manufacturers located in the United States,” Dudziak said. Creative Poly is a manufacturer of printed and specialty poly bags, including crown-top and straight broom sleeves; mop bags; many different shaped items such as hand puppets; and zipper, pouch, grommet and tape bags. Most products can be manufactured from either polyethylene or polypropylene. The company also provides both line and process printing. 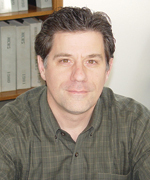 When Creative Poly was formed in 1992, Dudziak said 70 percent of the company’s sales involved customers directly associated with the broom and mop industry. Since then, the company has branched out to other markets as well, such as medical and foodservice. “The majority of (broom and mop manufacturers) left in the United States are very strong companies, but there are not a lot of start-ups within this industry,” he explained. “We have seen the medical industry, on the other hand, enjoy huge growth. One of the ways Creative Poly has grown over the years is by taking advantage of customer diversity — those companies involved in different fields. Providing custom packaging has helped. To help the company meet future demands, Creative Poly officials recently added equipment for another reclosable zipper line as well as an additional specialty bag line. Among the trends that Dudziak reported on was a greater desire by many customers to receive packaging in roll stock versus bag form. “It seems a large number of customers have switched to more automatic equipment in an effort to vertically integrate their operations. Printed rolls, therefore, further help reduce the number of people needed for packaging on the manufacturer’s end,” Dudziak said. There are customers also asking for “greener” packaging options, including the use of recycled material. Regarding overall business during the past year, Dudziak reported a strong first eight months in 2012, followed by four months of volatile movement. Dudziak also commented on the state of resin, which is used to make different types of packaging. He noted that resin prices have been relatively stable as of late. This could change, however, if the U.S. and world economies improve. Dudziak added that two resin price increases have been announced and most converters are waiting to see if the new prices will hold, or are being used to help stabilize the resin market. 620 West Lincoln Ave., Rochelle, IL 61068. U.S. government trade figures for the first nine months of 2012 indicate raw material imports were down in three of the four categories outlined in this issue, compared to the first nine months of 2011. For September 2012, raw material imports were up in three of the four categories outlined, compared to September 2011. Import totals for the first nine months of 2012 were up in five of the eight finished goods categories outlined from the same time period in 2011. In September 2012, five of the eight categories outlined recorded decreases, compared to September 2011. The United States imported 44,621 kilograms of hog bristle in September 2012, up 11 percent from 40,377 kilograms imported in September 2011. During the first nine months of 2012, 281,507 kilograms of hog bristle were imported, a 13 percent decrease from 322,361 kilograms imported during the first nine months of 2011. China sent 280,836 kilograms of hog bristle to the United States during the first nine months of 2012, while Thailand exported the remainder. The average price per kilogram for September 2012 was $18.83, up 136 percent from the average price per kilogram for September 2011 of $7.97. The average price per kilogram for the first nine months of 2012 was $12.67, up 33 percent from $9.53 per kilogram for the first nine months of 2011. The import total of broom and mop handles during September 2012 was 2.2 million, up 22 percent from 1.8 million for September 2011. During the first nine months of 2012, 12.6 million broom and mop handles were imported, down 28 percent from 17.6 million for the first nine months of 2011. During the first nine months of 2012, the United States received 4.2 million broom and mop handles from Brazil, 2.7 million from Honduras, 2.6 million from Indonesia and 2.4 million from China. The average price per handle for September 2012 was 62 cents, down 32 percent from the average price for September 2011 of 91 cents. The average price for the first nine months of 2012 was 81 cents, down 1 cent from the average price for the first nine months of 2011. September 2012 imports of brush backs totaled 644,797, up 9 percent from the September 2011 total of 591,358 brush backs. During the first nine months of 2012, 6.2 million brush backs were imported, up 35 percent from 4.6 million for the first nine months of 2011. Sri Lanka shipped 3 million brush backs to the United States during the first nine months of 2012, while Canada shipped 2.6 million. The average price per brush back was 48 cents during September 2012, down 4 percent from the average price for September 2011 of 50 cents. For the first nine months of 2012, the average price per brush back was 47 cents, down 1 cent from the average price for the first nine months of 2011. ﻿The import total of metal handles during September 2012 was 1.6 million, down 6 percent from 1.7 million for September 2011. During the first nine months of 2012, 20.6 million metal handles were imported, down 19 percent from 25.4 million for the first nine months of 2011. During the first nine months of 2012, Italy shipped 12.3 million metal handles to the United States, while China sent 6.1 million. The average price per handle for September 2012 was 60 cents, down 29 percent from 84 cents for September 2011. The average price for the first nine months of 2012 was 67 cents, down 6 percent from 71 cents for the first nine months of 2011. ﻿Imports of brooms of broom corn valued at less than 96 cents per broom during September 2012 totaled 3,804, down 84 percent from 23,136 brooms imported during September 2011. During the first nine months of 2012, 173,552 brooms of broom corn were imported, up 12 percent from 154,884 for the first nine months of 2011. Mexico sent 128,832 brooms to the United States during the first nine months of 2012, while China shipped the remainder. The average price per broom in September 2012 was 68 cents, down 17 percent from 82 cents for September 2011. The average price per broom for the first nine months of 2012 was 86 cents, up 6 percent from the average price for the first nine months of 2011 of 81 cents. The United States imported 691,407 brooms of broom corn valued at more than 96 cents per broom during September 2012, down slightly from 692,835 for September 2011. During the first nine months of 2012, 6.1 million brooms of broom corn were imported, down 8 percent from 6.6 million for the first nine months of 2011. Mexico shipped 5.9 million brooms to the United States during the first nine months of 2012. The average price per broom for September 2012 was $2.41, the same as the average price for September 2011. The average price per broom for the first nine months of 2012 was $2.44, up 2 percent from the average price for the first nine months of 2011 of $2.40. The import total of brooms and brushes of vegetable material during September 2012 was 183,505, up 53 percent from 119,902 brooms and brushes imported during September 2011. During the first nine months of 2012, 1.5 million brooms and brushes were imported, up 15 percent from 1.3 million imported during the first nine months of 2011. 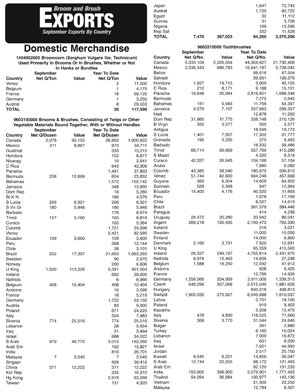 Sri Lanka exported 843,079 brooms and brushes to the United States during the first nine months of 2012, while China sent 244,345 and Vietnam shipped 134,804. The average price per unit for September 2012 was $1.24, down 1 cent from the average price for September 2011. The average price for the first nine months of 2012 was $1.17, a decrease of 5 percent from the average price recorded for the first nine months of 2011 of $1.23. The United States imported 87.8 million toothbrushes in September 2012, up 20 percent from 73.3 million imported in September 2011. During the first nine months of 2012, 803.8 million toothbrushes were imported, an increase of 19 percent from 676.2 million imported during the first nine months of 2011. China sent 613 million toothbrushes to the United States during the first nine months of 2012. Meanwhile, Switzerland exported 54.6 million, Vietnam shipped 47.9 million and India sent 34.3 million. The average price per toothbrush for September 2012 was 25 cents, up 1 cent from the average price for September 2011. The average price for the first nine months of 2012 was 20 cents, down 13 percent from 23 cents for the first nine months of 2011. The United States imported 3.5 million hairbrushes in September 2012, down 27 percent from 4.8 million imported in September 2011. During the first nine months of 2012, 40.9 million hairbrushes were imported, up 11 percent from 36.8 million imported during the first nine months of 2011. China sent 40.3 million hairbrushes to the United States during the first nine months of 2012. The average price per hairbrush for September 2012 was 30 cents, up 7 percent from 28 cents for September 2011. The average price for the first nine months of 2012 was 26 cents, down 7 percent from 28 cents for the first nine months of 2011. The United States imported 7.8 million shaving brushes in September 2012, down 20 percent from 9.7 million imported in September 2011. During the first nine months of 2012, 58.5 million shaving brushes were imported, down 32 percent from 86.5 million imported during the first nine months of 2011. China sent 40.7 million shaving brushes to the United States during the first nine months of 2012, while Mexico sent 7 million and Germany exported 5.2 million. The average price per shaving brush for September 2012 was 11 cents, the same as the average price for September 2011. The average price for the first nine months of 2012 was 12 cents, up 1 cent from the average price for the first nine months of 2011. September 2012 imports of paint rollers totaled 4.2 million, down 2 percent from the September 2011 total of 4.3 million. During the first nine months of 2012, 47.3 million paint rollers were imported, down 1 percent from 47.6 million for the first nine months of 2011. China shipped 36.2 million paint rollers to the United States during the first nine months of 2012, while Mexico exported 9 million. The average price per paint roller was 48 cents during September 2012, the same as the average price for September 2011. For the first nine months of 2012, the average price per paint roller was 46 cents, up 7 percent from the average price for the first nine months of 2011 of 43 cents. U.S. companies imported 17.6 million paintbrushes during September 2012, up 1 percent from 17.5 million paintbrushes imported during September 2011. Paintbrush imports for the first nine months of 2012 were 182.7 million, up 5 percent from 173.3 million recorded for the first nine months of 2011. China shipped 158.6 million paintbrushes to the United States during the first nine months of 2012. The average price per paintbrush for September 2012 was 33 cents, the same as for September 2011. The average price for the first nine months of 2012 was 32 cents, up 1 cent from the average price for the first nine months of 2011. Export totals for the first nine months of 2012 were up in three of the five categories outlined, compared to the first nine months of 2011. In September 2012, four of the five categories outlined reported decreases in exports, compared to September 2011. The United States exported 7,470 dozen brooms and brushes of vegetable materials during September 2012, down 23 percent from the September 2011 total of 9,665 dozen. Exports of brooms and brushes of vegetable materials during the first nine months of 2012 were 94,260 dozen, up 44 percent from 65,628 dozen for the first nine months of 2011. The United States sent 31,693 dozen brooms and brushes to Brazil during the first nine months of 2012 and 26,982 dozen to Canada. The average price per dozen brooms and brushes was $49.13 in September 2012, up 24 percent from $39.50 for September 2011. The average price per dozen brooms and brushes for the first nine months of 2012 was $37.88, a decrease of 27 percent from the average price per dozen for the first nine months of 2011 of $51.84. During September 2012, the United States exported 13.8 million toothbrushes, up 47 percent from the total recorded in September 2011 of 9.4 million. During the first nine months of 2012, 107.9 million toothbrushes were exported, up 46 percent from 73.8 million exported during the first nine months of 2011. The United States exported 44.3 million toothbrushes to Canada during the first nine months of 2012, while sending 16.6 million toothbrushes to Mexico and 6 million to Switzerland. The average price per toothbrush for September 2012 was 44 cents, down 30 percent from the average price for September 2011 of 63 cents. The average price per toothbrush for the first nine months of 2012 was 49 cents, down 20 percent from 61 cents for the first nine months of 2011. The United States exported 695,164 shaving brushes during September 2012, down 65 percent from 2 million for September 2011. During the first nine months of 2012, 18.5 million shaving brushes were exported, up 6 percent from 17.4 million during the first nine months of 2011. Mexico imported 11.8 million shaving brushes from the United States during the first nine months of 2012. The average price per shaving brush for September 2012 was $1.87, up 202 percent from 62 cents for September 2011. The average price for the first nine months of 2012 was 64 cents, up 7 percent from 60 cents for the first nine months of 2011. The United States exported 577,352 million artist brushes during September 2012, down 19 percent from 710,917 artist brushes exported for September 2011. During the first nine months of 2012, 7.4 million artist brushes were exported, down 13 percent from 8.5 million during the first nine months of 2011. Canada imported 4.4 million artist brushes from the United States during the first nine months of 2012, while The United Kingdom received 904,145. The average price per artist brush for September 2012 was $3.59, up 18 percent from $3.05 for September 2011. The average price for the first nine months of 2012 was $2.87, up 13 percent from $2.53 recorded for the first nine months of 2011. The export total of paintbrushes during September 2012 was 140,228, down 35 percent from 214,546 paintbrush exports recorded for September 2011. During the first nine months of 2012, 1.4 million paintbrushes were exported, down 22 percent from 1.8 million during the first nine months of 2011. Canada imported 719,664 paintbrushes from the United States during the first nine months of 2012. The average price per paintbrush for September 2012 was $13.55, up 27 percent from $10.65 for September 2011. The average price for the first nine months of 2012 was $13.12, up 35 percent from $9.72 recorded for the first nine months of 2011. A total of 67 short tons of broom corn was imported into the United States during September 2012, and 97 short tons during October 2012, according to the U.S. Department of Commerce. All broom corn for both months arrived from Mexico. Total value of the 67 imported short tons in September was $249,294, with an average cost per ton of $3,721 ($1.86 per pound). For October’s 97 imported short tons, the total value was $298,261. The average cost per ton for the month was $3,075 ($1.54 per pound). During the first 10 months of 2012, government figures indicated that 591 short tons of broom corn were imported into the United States — all from Mexico. Total value was $1,661,229, with a cost per ton average of $2,811 ($1.41 per pound). In comparison, after the first 10 months of 2011, a total of 613 short tons of broom corn had entered the United States, with a total value of $1,441,180. The average cost per ton of this broom corn was $2,351 ($1.18 per pound). Richard Caddy, of R.E. Caddy & Co., Inc., in Greensboro, NC, felt imported broom corn tonnage figures reported by the government for September and October were accurate. However, he said the same couldn’t be said about the reported pricing for the two months. Caddy felt that actual pricing was higher, especially during October. 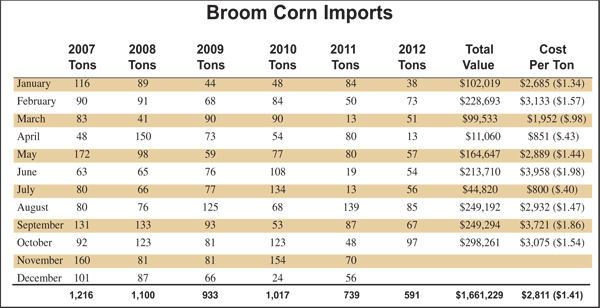 He added that U.S. broom corn imports are on pace to reach the 650 short ton mark by the end of 2012. Caddy said broom corn grown in the Apatzingan region this winter in southern Mexico could spell some relief to the current supply situation. 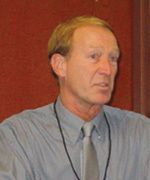 “We are over a month or two away before this broom corn becomes available,” Caddy said, when interviewed on January 10. He also reported on the status of yucca fiber, stating that current pricing remains steady but has increased over prior months. A shortage of yucca fiber can be attributed, in part, to the prolong drought being felt in the southwestern United States and northern Mexico. “Most of the yucca fiber processed right now is probably going to stay in Mexico. I haven’t had any problems lately with the availability or quality of yucca fiber. However, availability could be a problem going forward,” Caddy said. Overall, he reported strong business activity taking place at his company as of mid-January. 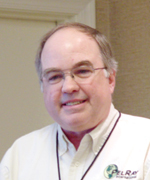 Bart Pelton, of PelRay International, LLC, in San Antonio, TX, ﻿mirrored Caddy’s belief that the reported broom corn import tonnage for September and October was correct, while pricing figures for these two months were off base. Pelton also addressed the widening spread between the cost of Mexican hurl and insides as the supply of hurl remains very tight. Pelton added there was some late crop broom corn grown in Mexico last year, which has helped the supply issue to some degree. However, shortages are still expected for the foreseeable future. “There has also been a little bit of broom corn grown in the Apatzingan and Nayarit regions (of Mexico). We expect this supply will be available in another couple of months,” Pelton said. “However, there won’t be large enough quantities of this broom corn to drive down prices. And, of course, a lot of the broom corn grown during the winter is heavy to insides. He added crop size will depend a lot of how much money farmers feel they will be able to make from growing broom corn compared to competing crops. Another key factor is the weather in northern Mexico as this region continues to be extremely dry. “A lot of reservoirs used for irrigation are very low. Mexican (officials) have been cutting back on the amount of water available to farmers. Even if these farmers want to grow more broom corn, they might not be able to if there isn’t enough water,” Pelton said. On the plus side, he added many U.S. broom shops have already purchased extra supplies of broom corn in anticipation of higher prices and possible shortages down the road. The same is true for U.S. broom corn dealers. When asked about yucca fiber, Pelton said prices have increased approximately 20 percent over the past couple of months. This price jump, he added, is partially related to an increased demand for the fiber that resulted from higher broom corn prices. Another factor, like broom corn, is the drought which has curtailed the availability of yucca fiber. In some good news, Pelton reported that overall business at his company has been strong in recent months. Tim Monahan, of The Thomas Monahan Co., in Arcola, IL, said the final U.S. broom corn import tally for 2012 could very well be around the 700 short ton mark. He noted that the July through September time frame has historically been when most broom corn is imported into the United States. Figures thus far for 2012 show the year to be no different, along with a strong October. He added that the continual threat of violence from drug cartels continues to keep a lot of people involved with the broom corn industry away from the growing regions of northern Mexico. Therefore, it’s hard to know just how many farmers plan to plant broom corn in 2013. The drought in this region is also becoming a big factor on projected crop size. “It used to be that if broom corn prices were high, it was automatic that more broom corn would be planted for the following season,” Monahan said. “It’s harder to tell anymore due to the violence, drought and cutback on irrigation water. Monahan added that drought conditions in Mexico and southwestern sections of the United States are also impacting the growth of bear grass, a native plant that provides yucca fiber. “The delivery (of yucca fiber) right now is not quite as slow as it had been. However, there are fewer suppliers today, and the dry weather continues. 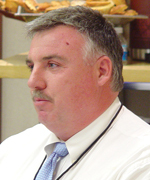 This all can mean higher prices for the fiber,” Monahan said. 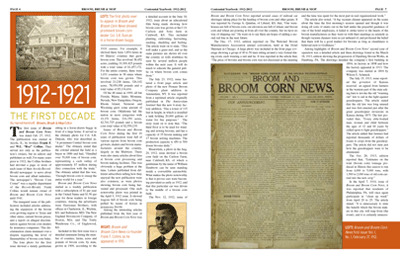 Broom, Brush & Mop Magazine's Centennial Edition. by clicking on the cover (above) or spread (below). 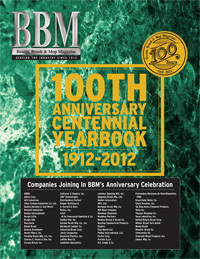 61 industry companies that participated in the issue. Events of each decade are summarized in a section dedicated to that 10 years. History and an overview of each of the 61 participating companies are also featured. For more information contact Broom, Brush & Mop Magazine at 217- 268- 4959 or email drankin@consolidated.net. A television commercial on the FootMate System from Gordon Brush aired several times in January on FoxNews, CNN, and HGTV. The commercial shows the benefits of using the company’s FootMate System, a product for those seeking a soothing foot massage while taking better care of their feet. It’s particularly effective for people with diabetes, arthritis, back pain, those who are athletes, and pregnant women, according to Gordon Brush President and CEO Ken Rakusin. Made in the United States, the podiatrist-recommended FootMate System sticks to the shower floor with suction cups, and a long retrieval cord eliminates stooping after use. It comes with 8 ounces of foaming Rejuvenating Gel™ made with tea tree oil (a natural antiseptic), healing aloe, skin cleansers and conditioners. Visit www.footmate.com for more information. Gordon Brush Mfg. Co., Inc., is an ISO 9001:2008 certified manufacturer of specialty, custom and standard brushes for industrial and consumer purposes. 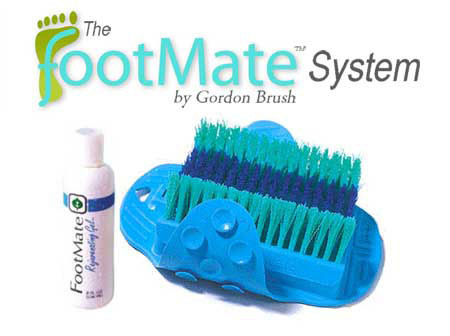 The company makes the FootMate System as well as over 15,000 other medical, industrial, janitorial and electronic brushes at its 51,000-square-foot manufacturing facility in Commerce, CA. Watch the commercial online here. Wooster spokespeople say that with its smooth-spinning cage and matching fabric choices, the Wooster Jumbo-Koter® mini-roller program is popular with professional and DIY painters alike. Now, Wooster has introduced its Jumbo-Koter Shergrip® frame. The Jumbo-Koter® from Wooster Brush has a new Shergrip® comfortable handle. According to Wooster, this new grip is slim and ergonomic and fits a wider variety of hand sizes. The green polypropylene and black Shergrip insets provide a painting experience that’s easier on the hand. Shergrip is a soft elastomeric material with a rubber-like feel that is also solvent-resistant, cleans quickly, and won’t crack or peel. Spokespeople say the new Jumbo-Koter Shergrip frame is designed to fit comfortably in the hand, yet easily attaches to standard threaded or Sherlock GT® extension poles. Every frame in this miniroller line works with all 4 1/2- and 6 1/2-inch Wooster Jumbo-Koter covers. Painters can choose any Jumbo-Koter frame and use it with 14 different fabrics. 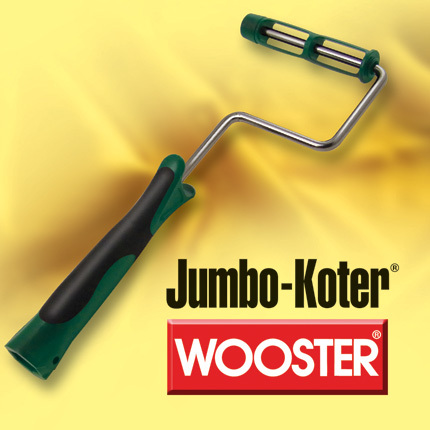 The full Wooster Jumbo-Koter line is available at traditional paint and decorating centers, hardware stores, and paint sundry distributors or retailers. Shurhold says the Water Blade makes cleaning RVs more convenient. 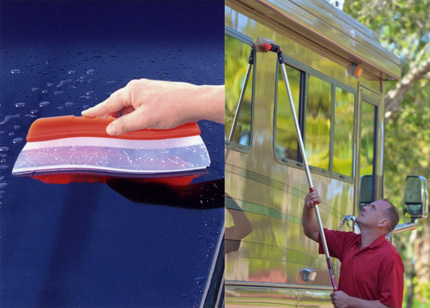 Shurhold Industries spokespeople say RV owners looking for spot-free windshields and windows without the added work of using a towel or chamois can turn to its SHUR-Dry Flexible Water Blade. Officials say because of the blade’s patented T-bar edge, it offers a spotless shine in less drying time, and that it also removes the need of paper towels or chamois. The Water Blade’s handle provides a comfortable grasp. Measuring 12-inches, the blade molds to curved surfaces. The Water Blade is made of rubber, and is safe for use on every surface. The company says an optional adapter enables users to adjust the blade 180-degrees, which can extend the reach.The Water Blade can be attached to a longer Shurhold handle. The adapter is sold separately.